The traffic through the narrow lanes and bylanes of RK Nagar in Chennai now flows a little more smoothly. The election campaign vehicles have withdrawn from the area. It is as if the festival bumper sale — the Indian Political League in which voters were up for auction and buyers moved around with wads of 2000 rupee notes - is over. Except that it was a fixed rate. No bargaining. 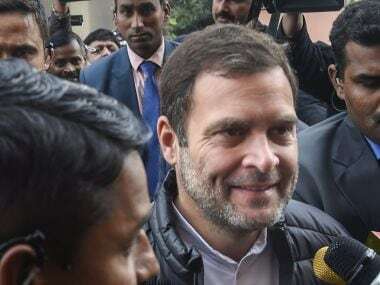 By now it is well-known that one political vendor had shelled out Rs 4,000 for a vote, with a promise apparently to top up another Rs 3,000 a couple of days before 12 April, when the election was to take place. Another party was reportedly shelling out Rs 2,000 and another one had promised Rs 1,000. RK Nagar = 10K Nagar. "These people expect money, there is no other go,'' said the chief of a political party, blaming it on the mindset of the RK Nagar residents. "You will not find this tendency in many other parts of Chennai." The senior politician was, in a not-so-subtle manner, blaming the lower middle-class mindset of the RK Nagar electorate that looked at elections as deal-making time. 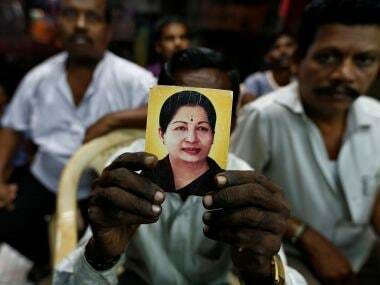 Long used to living in conditions of squalor, the practical-minded citizens know nothing would change despite the lofty promises made in personalised RK Nagar election manifestos. TTV Dhinakaran for, instance, promised to build 57,000 houses if he was elected while the Panneerselvam camp said it will develop a world-class fish market. Instead, Rs 10,000 for a vote that translated to a sum of Rs 50,000 for a family of five, meant some loans could be paid off or some fancy white goods could be bought. How does it usually work? Random chats with voters suggest that when voters take money from all candidates, in most cases, they are under pressure to vote for the highest bidder. There is the fear factor as well because those who have money power, have muscle power as well. But some others insist bribing is not akin to match-fixing. They claim that inside the privacy of the EVM booth, they vote for whoever they think is good for the constituency. Follow your conscience to wipe away the guilt of accepting a bribe is the mantra. From the point of the view of the candidate, what it means is that he is no longer appealing to the wisdom of a voter. "I am buying you out,'' is the tone and tenor. Not that it means it is a contract forever. This round of bribing came with an expiry date of 12 April. Now that the elections have been rescinded and may be held after a few months, money will have to be shelled out again. And the amount given this time becomes the benchmark which the parties will be expected to better the next time round. Inflation-adjusted. In the context of the circumstances in which the RK Nagar byelection was called off, it seems rather ironic that G67, an independent group backed by Karti Chidambaram started a campaign in RK Nagar asking people to take an oath that they will not accept bribes for votes. Because for all practical purposes, RK Nagar has put the Thirumangalam formula to shade. In 2009, when there was a byelection in Thirumangalam constituency in Madurai, voters were bribed with money given along with morning newspapers and the then ruling DMK emerged victorious. The bribes are a mockery of the Election Commission rules that cap the spending by a candidate at Rs 28 lakh for an assembly election. Here in RK Nagar, you have a `Bribe Fund' of Rs 89.65 crore set up by one party alone, if the documents seized by the Income Tax sleuths are anything to go by. What an election of this kind does is to ensure the voters can never question the MLA. With the poll converted into a monetary deal, it is akin to a seedy illegal contract marriage. 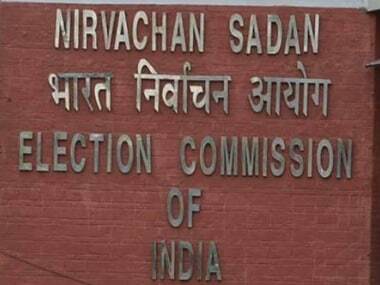 If the RK Nagar election had gone through, the divorce between the voters and the winning candidate would have happened by the evening of 15 April, when the results were to be announced. What the massive attempt at bribing also has exposed is the complete failure of demonetisation to curb black money. At a time when the common man finds it difficult to locate ATMs disbursing cash, the fact that these political parties in Tamil Nadu are flush with cash, indicates a nexus between bank officials and corrupt netas. One of the documents reportedly prepared by the accountant in Health minister C Vijayabhasker office shows the huge amounts that have flown into and out of the minister's account. It is obvious none of this goes into a bank account and get digitally traced. With the atmosphere "seriously vitiated'', the Election Commission had no option but to rescind the election. But it can be sure it will be the same muck once the new election dates are announced. The candidates know they won't even be debarred from contesting elections. What the EC needs is a TN Seshan or a JM Lyngdoh kind of approach, a more visible policing that cracks the whip on erring politicians. The fear of God and a tough CEC needs to be put into politicians and the voters at large. Let the EC start with RK Nagar.